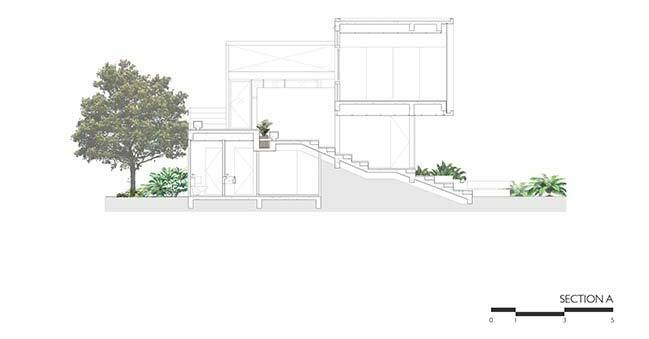 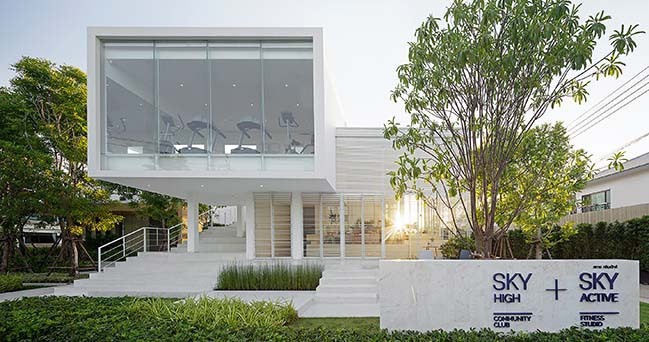 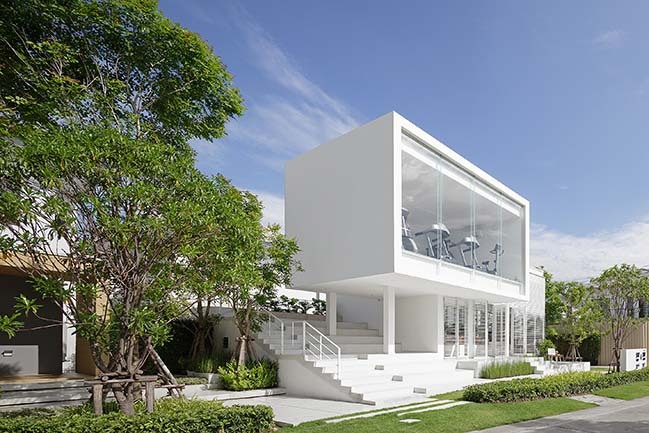 The Sky Clubhouse is a small building facility for residential project in the suburb of Bangkok, Thailand. 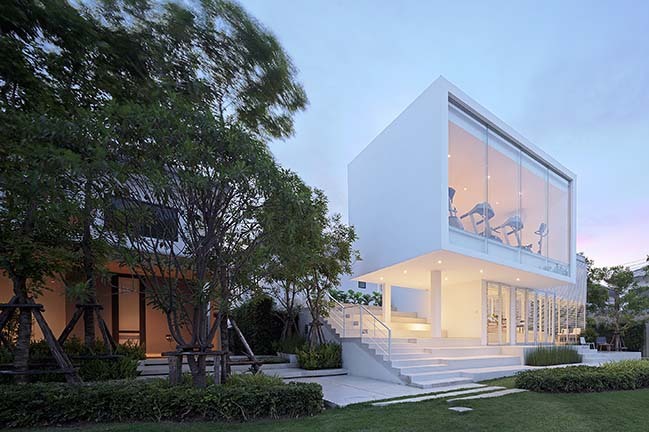 This project is served as functional building for private housing project, which consists of a small gym on upper floor, interior living and exterior areas for multi-purpose activities. 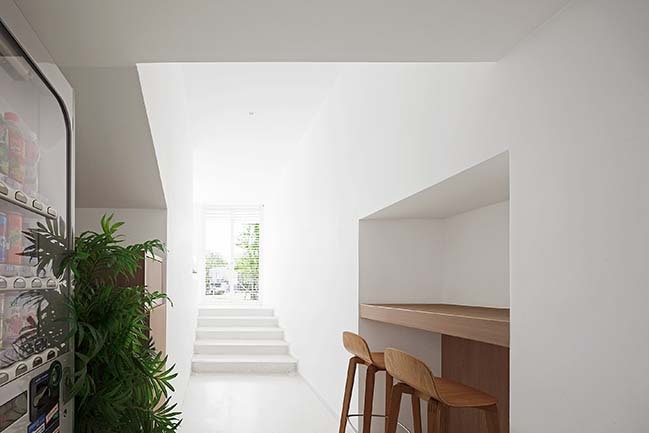 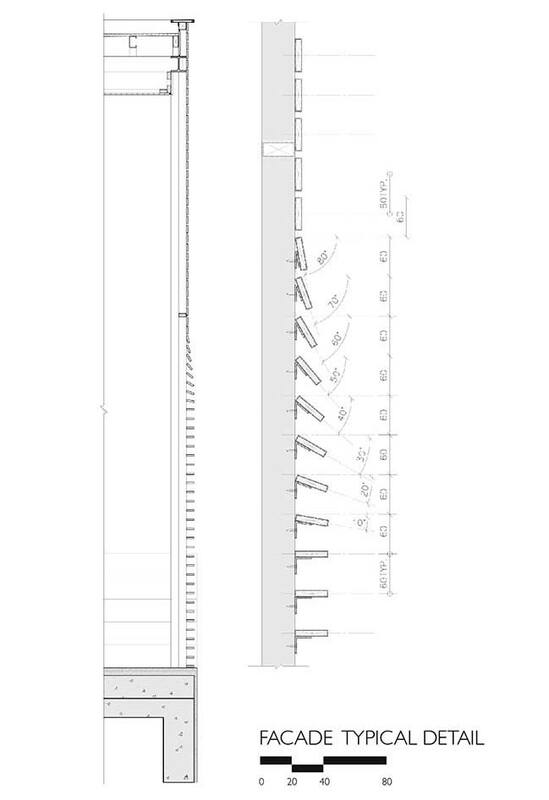 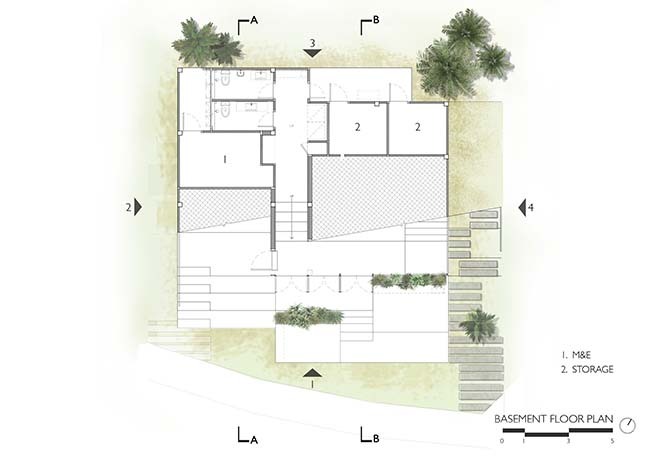 From the architect: With the limited space, the main idea of the project is to create the open and continuous space that can connect between inside and outside, below and upper levels. 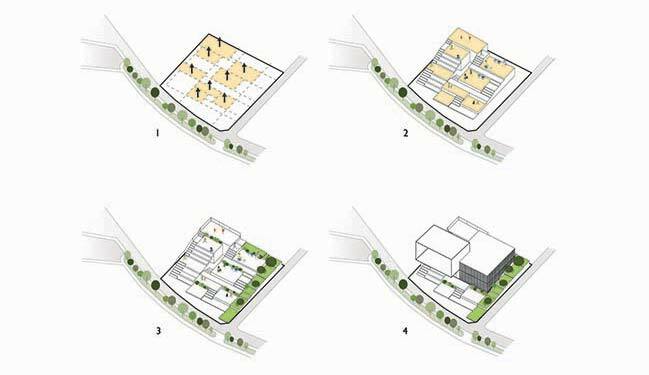 The design of ‘stepping floor’ is come to serve as a way to combine circulation, floorplan, activities and landscape that can lead visitor from ground level along the way to the gym on the upper floor. 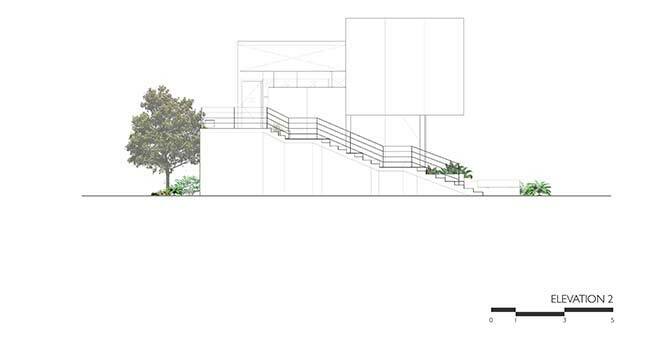 Meanwhile the space under the step has been used to hide all the service area of the building. 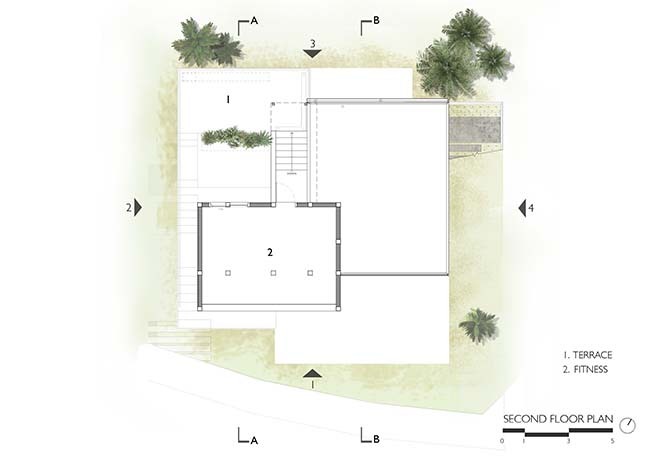 The step also used to divide the floor into each small platform that can serve various activities and functions. 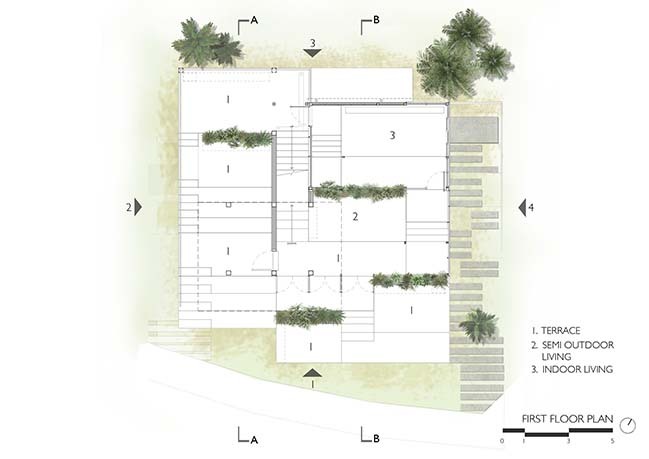 Each of these platforms provide with adequate space that can change to fit the need for several function such as relaxing space, working table or amphitheater for small group of people. 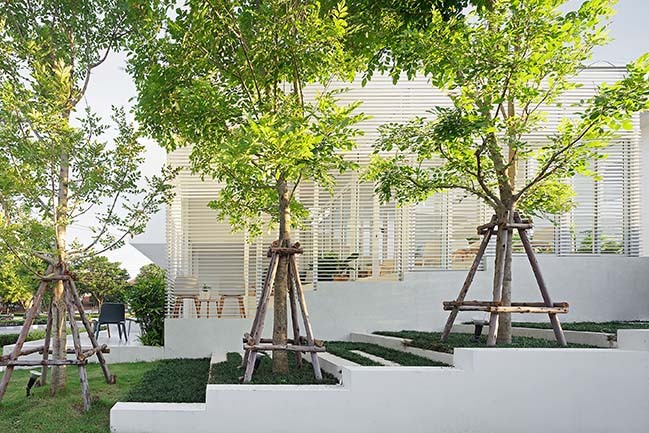 Furthermore, between this platforms are integrated with small garden that carefully placed to add the greenery atmosphere and create privacy between each platform at the same time. 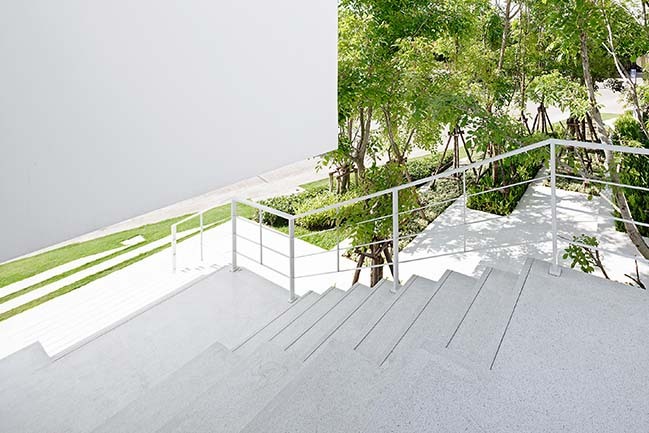 The overall materials are the standard economical material in Thailand, concrete, terrazzo floor and aluminium window. 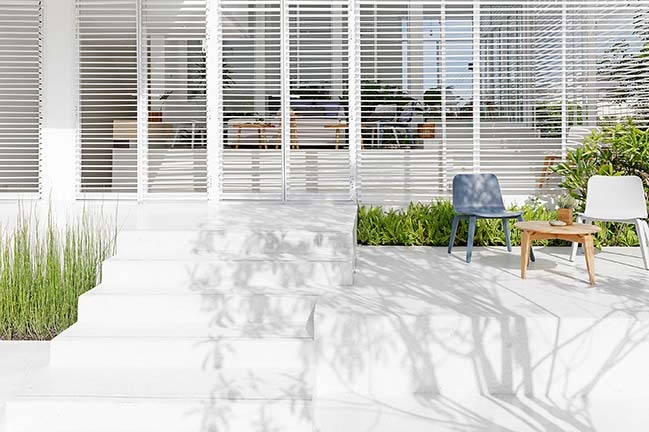 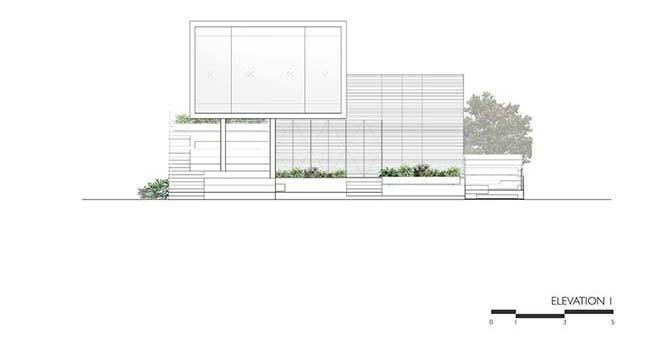 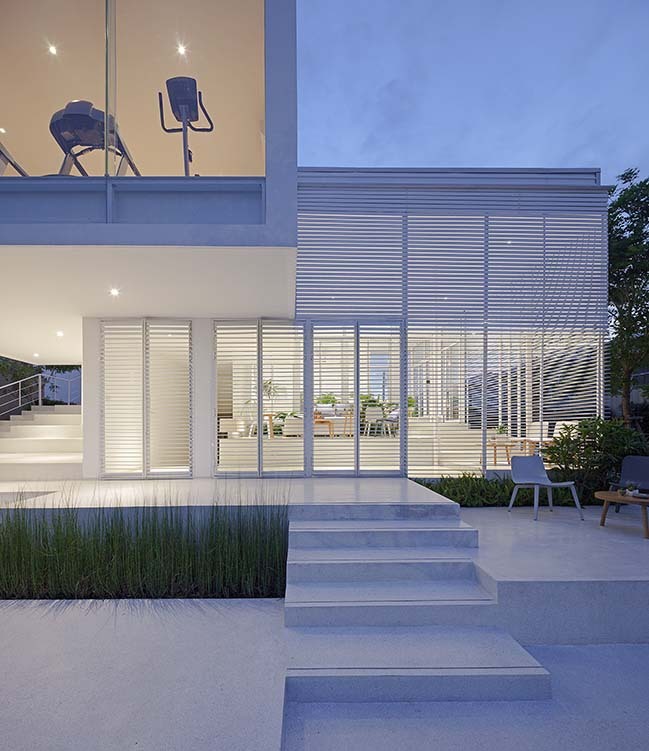 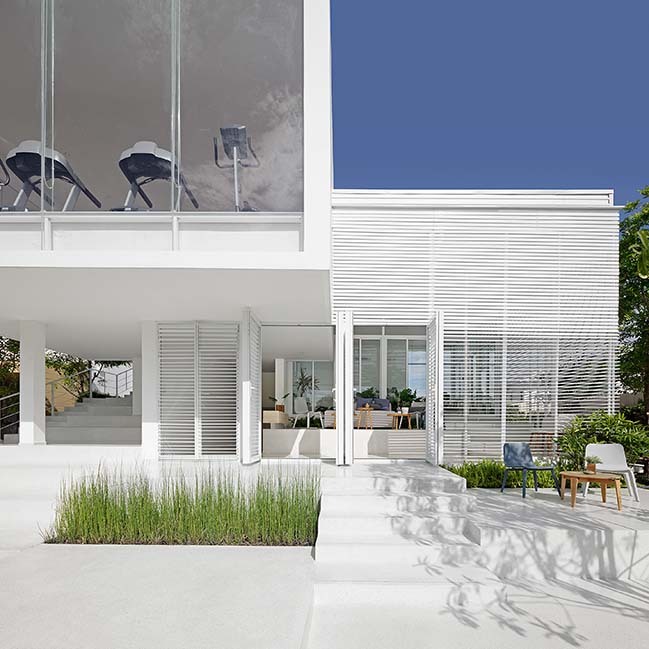 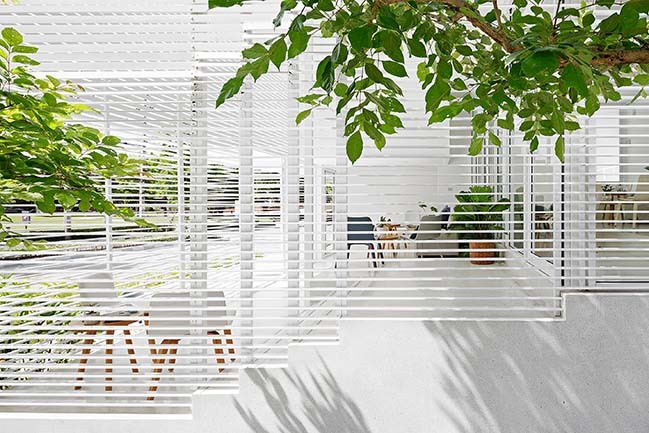 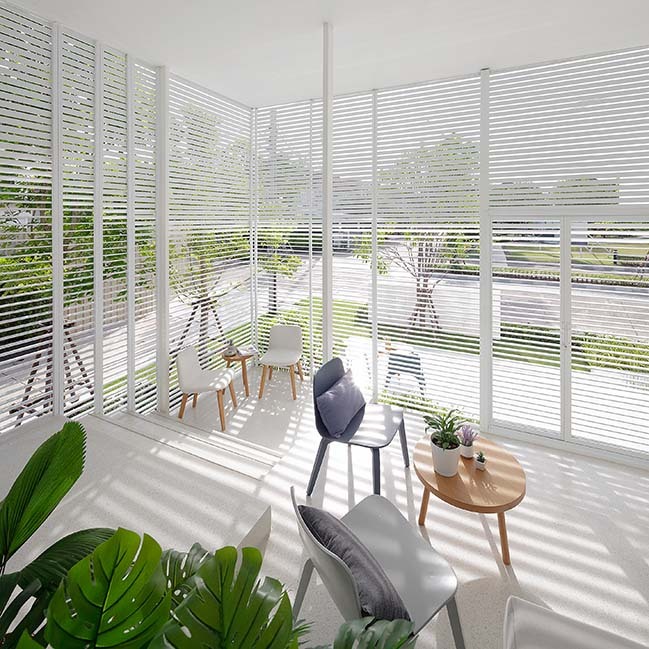 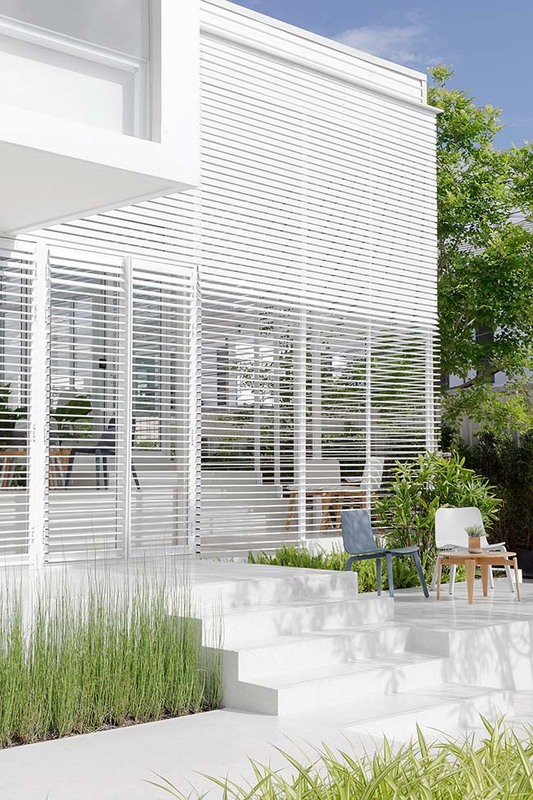 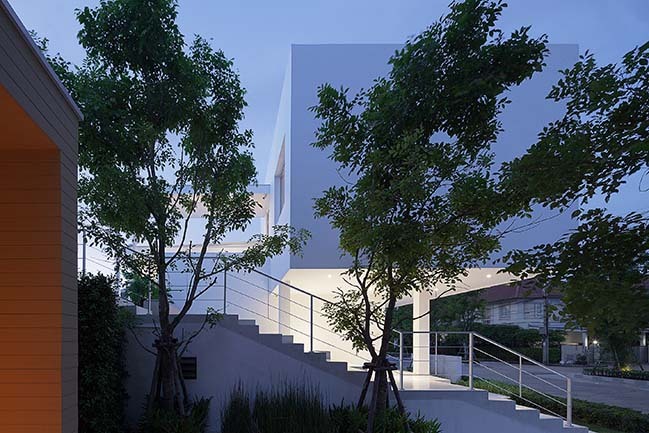 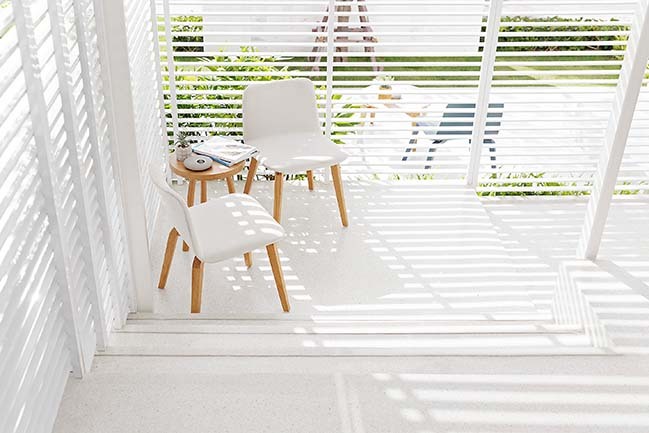 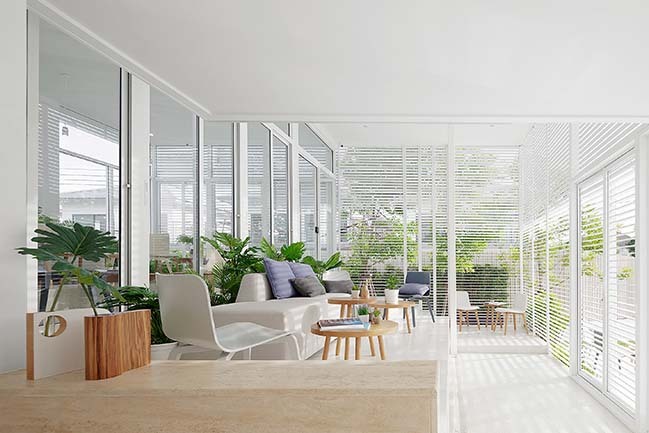 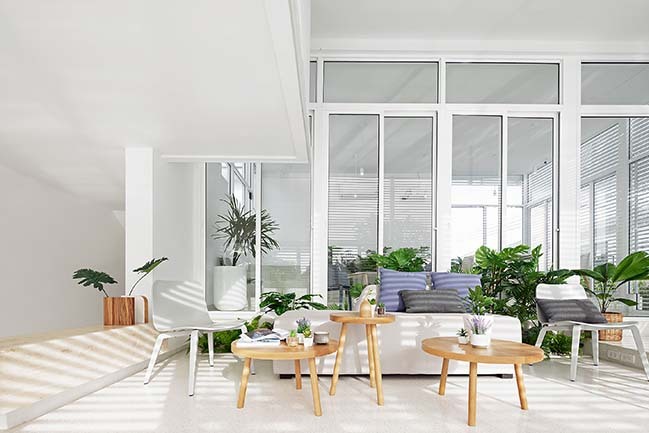 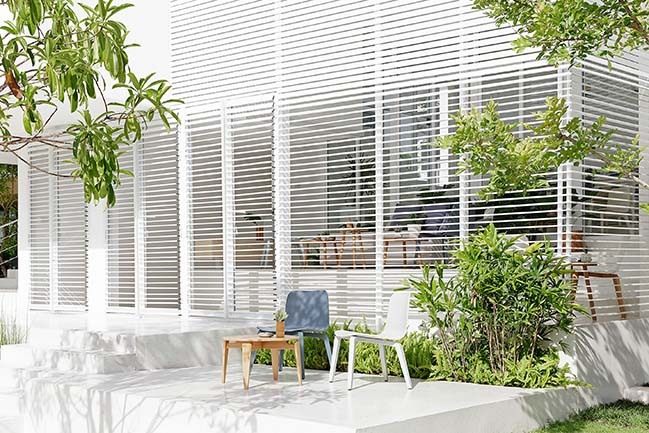 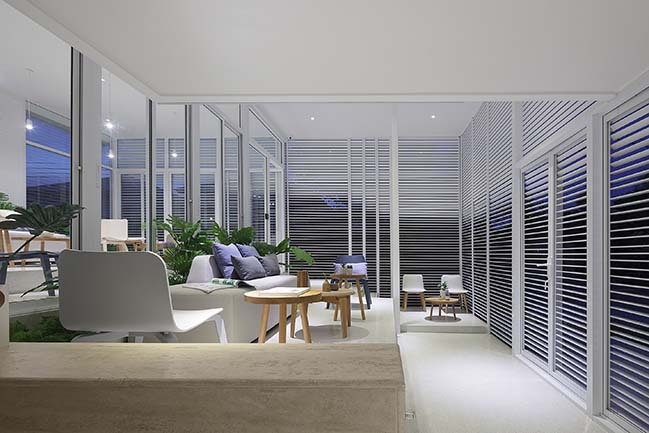 But the main character of the building is the white aluminium stripes façade that cover all ground floor interior space, gradually twist from vertical to horizontal, help filter the natural light from above and connect the view below to the outdoor area and landscape garden around the site. 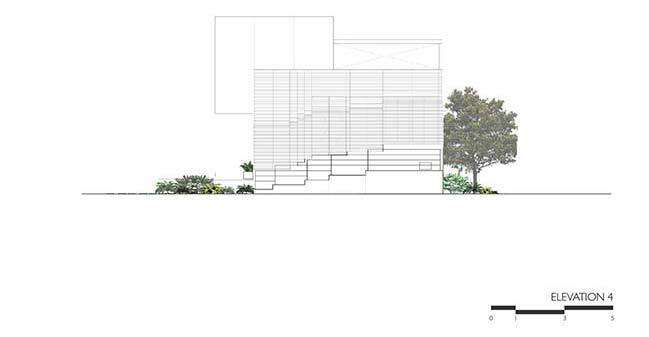 As appear from outside, it like the building is slowly opening ‘the curtain’ to explore the outside world.